The Milton Bradley Company is an American game company established by Milton Bradley in Springfield, Massachusetts, in 1860. In 1920, it absorbed the game production of McLoughlin Brothers, formerly the largest game manufacturer in the United States and in 1987 it purchased Selchow and Righter, makers of Parcheesi and Scrabble. Milton Bradley was taken over by Hasbro, Inc., in 1984. Now wholly owned by Hasbro, it is still retained as one of Hasbro’s brands, similar to the manner in which Parker Brothers is one of Hasbro’s brands. It is a board game and sometimes video game publisher. During the late 1980s and early 1990s, Milton Bradley marketed a series of games (such as HeroQuest) in North America that were developed in the United Kingdom by Games Workshop (GW) that drew heavily from GW’s Warhammer Fantasy universe, albeit without explicit reference to the Warhammer product line. 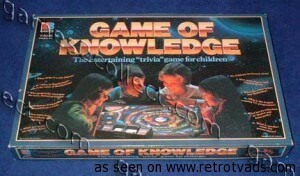 Milton Bradley also developed numerous game consoles such as the Microvision and Vectrex.